Are you looking for VCU off-campus housing? Find affordable houses for rent near VCU and everything else Richmond, VA has to offer. Use our map feature to explore apartments near VCU and find the perfect pad for your next year of studies. Filter by the number of bedrooms, bathrooms, unit type & more. All listings are VCU apartments for students, a short distance from campus, and verified. Finding apartments at Virginia Commonwealth University has always been a chore. At Rent College Pads we are fixing that. All of our off-campus housing options have been verified and approved by our diligent team of campus managers. We even follow up with you and the landlord to make sure you have found your perfect house. Because there are so many options to consider before making a responsible renting decision, check out our Virginia Commonwealth University University apartment hunting guide below. The search for off-campus apartments near VCU is most active after winter break. 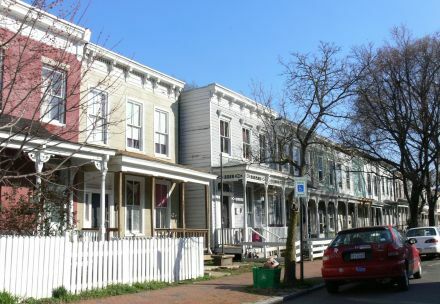 Most students begin to look for VCU houses for rent in the months of March and April. However, if summer rolls around and you realize you're still apartment-less, don't worry-you'll most likely still be able to find a place. Rent prices in Richmond can vary depending on a number of things, though they tend to be fairly reasonable considering the city's metropolitan location and rich culture. Many students choose to live in the Fan District or the nearby Monroe Ward, as they are within close proximity to VCU's main campus. However, it's not uncommon for students to venture into Downtown Richmond or even the historic Shockoe Bottom to find a VCU apartment for students, though rent at these places can be more expensive. Some places near campus come with utilities included in rent which can come off expensive but certainly is a desirable deal. You will generally be able to rent a bedroom for less than $600 per month, but choosing to live with more roommates can definitely save you some cash. Richmond, VA is full of outdoor opportunities just waiting to be tapped, but authentic outdoor adventure trips can be pricey-who knew nature wasn't free? Lucky for you, VCU sponsors an Outdoor Adventure Program that offers students and faculty the opportunity to explore the area and participate in outdoor activities for cheap. Take advantage of the guided trips, hiking, biking, rafting, equipment rentals and more before you graduate. The majority of Richmond's tourism in is centered around its Civil War history and the Virginia Commonwealth University. In addition, Richmond is also well known for its bustling downtown area that truly has something for everyone: shopping, restaurants, bars, salons, and plenty of live entertainment. Oregon Hill is a small, extremely walkable neighborhood located a few blocks south of the Virginia Commonwealth University’s main campus. Oregon Hill is directly south of Monroe Ward making the neighborhood also very close to to the Monroe Park Campus of VCU. 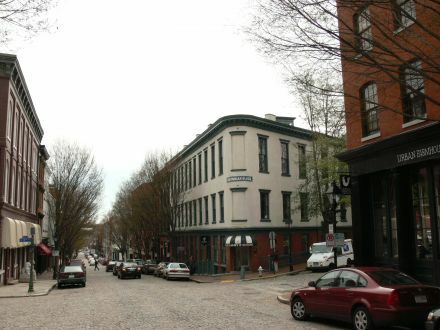 Since Oregon Hill is so close to the VCU campuses, the neighborhood is oftentimes referred to as a “student quarter” due to the high population of college kids. 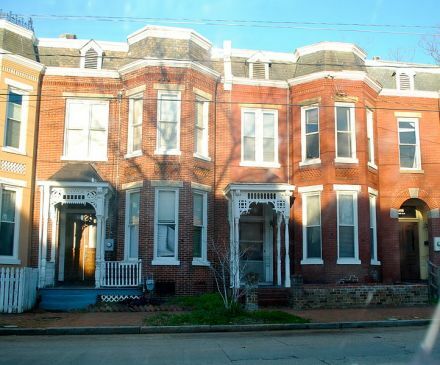 Compared to a lot of neighborhoods near VCU, Oregon Hill has a much lower rent rate which makes in a popular place for students to rent both houses and apartments. Residents also have easy access to The Fan, Northbank Trail, and the James River. 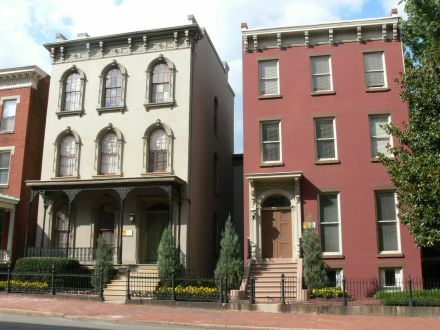 At the western edge of the Fan District are both Carytown, to the south, and the Museum District, which is oftentimes called the Upper Fan to the north. Carytown is both a residential and commercial area where the majority of homes are from the 1920s, and independently owned boutique clothing stores, cafes, businesses, and bars run along Cary Street, hence the name Carytown. Most of the housing was built between 1910 and 1930 and ranges from a mix single-family houses, townhomes, and condos. Throughout the year, residents and businesses hold street fairs, concerts, and other events to bring the community together. One of the popular events is the Carytown Watermelon Festival that draws thousands upon thousands of people. 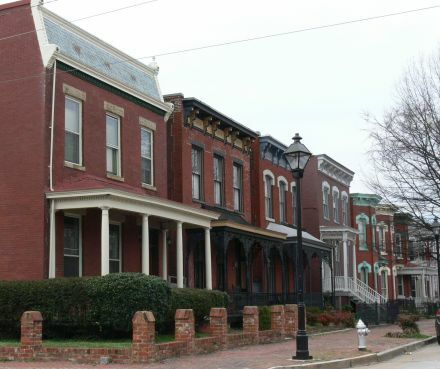 One draw to living in this neighborhood is the walkability to the local places and quick access to Byrd Park. Another popular spot is the Byrd Theatre that shows second-run movies for $1.99 every night. Uptown, also known as the Lower Fan, contains a large portion of the Virginia Commonwealth University campus. 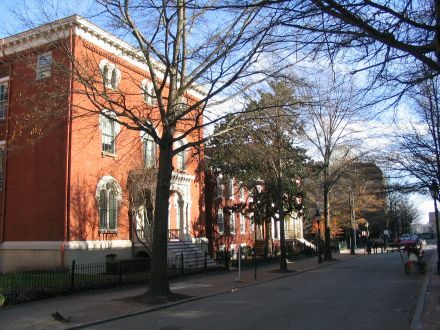 Due to the location of the campus, this neighborhood is extremely popular with the students at VCU. A small part of the campus is located in Midtown (neighborhood in between Uptown and Monroe Ward) and the rest is located in Monroe Ward. Located west of Jackson Ward and north of the Fan District is Carver. 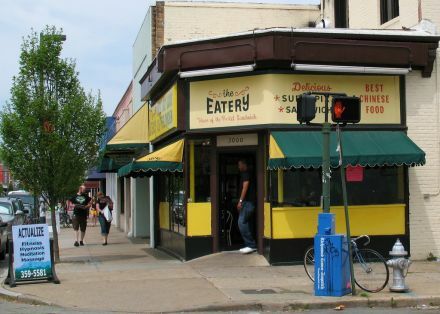 The Carver neighborhood sits along the Virginia Commonwealth University’s northern border. Being that the neighborhood is so close to both VCU and the Virginia Union University there is a very high student population in Carver. Almost 80% of the housing in Carver are rental units and the majority of those renters are all students. The area has a lot of townhomes and there is a large variety of coffee shops, bars, and restaurants like the popular Sugar Shack Donuts and The Black Sheep. Just like Downtown Richmond, the West End is made up of several different neighborhoods, all located west of Downtown Richmond. The historic Monroe Ward neighborhood is located in the heart of Downtown Richmond. Monroe Ward is directly east of the Fan District and south of Jackson Ward. The neighborhood is located behind the VCU medical campus and in recent years, VCU expanded their Monroe Park campus into Monroe Ward. The university is also building a new resident hall and parking deck for students here. Monroe Ward has several boutique apartments and condos and due to the close proximity to the Virginia Commonwealth University campus, many VCU students are living in them. The Shockoe Slip neighborhood is located just south of the capitol while the Shockoe Bottom neighborhood and located east of the capitol. Both neighborhoods run along the James River and are known for the collection of tobacco warehouses and other historic commercial building that have been remodeled into office and residential spaces. Over the years, both neighborhoods have become a major entertainment spot in Richmond for nightlife, dining, and shopping. Much of the housing being developed in these neighborhoods are apartments and condos that have views of the James River. Walking Downtown only takes a matter of minutes. Originally a colonial settlement, Richmond, the capital of Virginia, is now a thriving city full of history, culture, shopping, dining, and outdoor adventures. Walking down the cobblestone streets and river walks you will come across the many historic monuments throughout the city or you can visit the many museums like the Civil War Museum of the Confederacy. 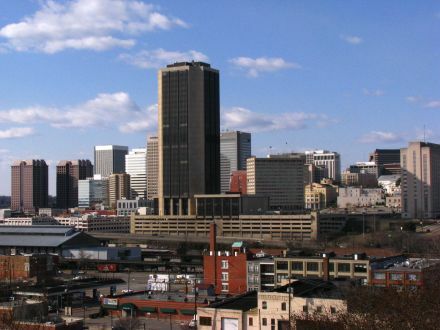 Richmond is considered the “tallest” city in Virginia due to the many tall building located Downtown in the central business district that surrounds the Virginia State Capitol. The city is broken down into several districts and neighborhoods that are all each unique. Downtown, itself, is comprised of several different neighborhoods.Below, is a quick overview of some of the different neighborhoods. Court End is one of Richmond’s oldest neighborhoods and was developed when Virginia moved its capitol from Williamsburg to Richmond in the Federal Era. 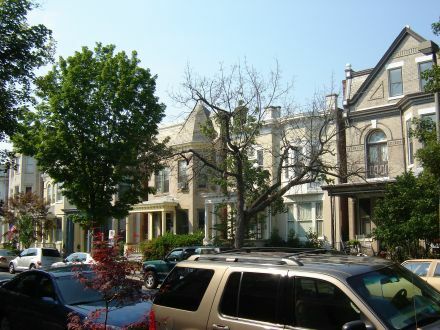 The neighborhood is just north of the Capitol Square, or Capital District, and East Broad Street and is also home to some of the city’s most important and valued residential buildings. Some of these buildings include The White House of the Confederacy, Wickham House, and John Marshall House. Located in Court End are museums, Virginia Commonwealth University’s Medical College, the Library of Virginia, and the Richmond City Hall Observation Deck. During the Holiday, the city holds Court End Christmas which allows the public to enter many of the neighborhood’s paid attractions for free, even the buildings that VCU owns. The Jackson Ward neighborhood, a historically African-American neighborhood, is located west of Court End and north of Broad Street. This neighborhood was known as the “Harlem of the South” and was often visited by Duke Ellington, Ella Fitzgerald, Billie Holiday, and Nat King Cole. Maggie L Walker, who was the first woman to be president of an American Bank, lived in Jackson Ward and her house in now a National Historic Site and the whole neighborhood is a National Historic District. The Jackson Ward neighborhood played a big part in African American history and business in Richmond and also did so nationally post-Civil War. 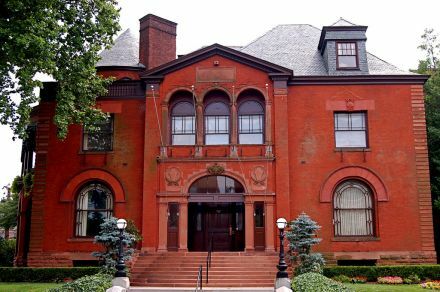 Jackson Ward is now home to the Black History Museum. There are several historic homes with large cast iron porches that line the streets. Jackson Ward has an artsy scene too, there are a lot of public murals displayed on buildings and there are many art galleries and studios throughout the neighborhood. Each month, the city of Richmond hosts the RVA First Fridays to celebrate the local art scene.